Happy Friday, everyone! I hope you are all having a great week! 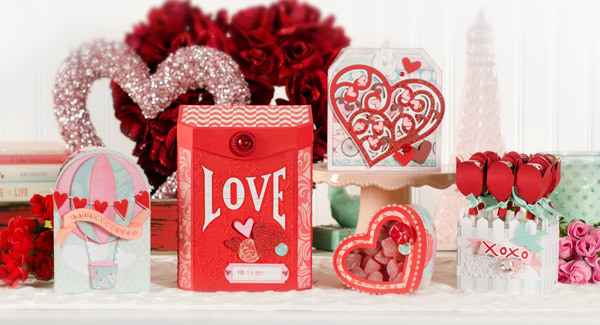 I just got some fabulous new Valentine's in from Paper Issues yesterday. 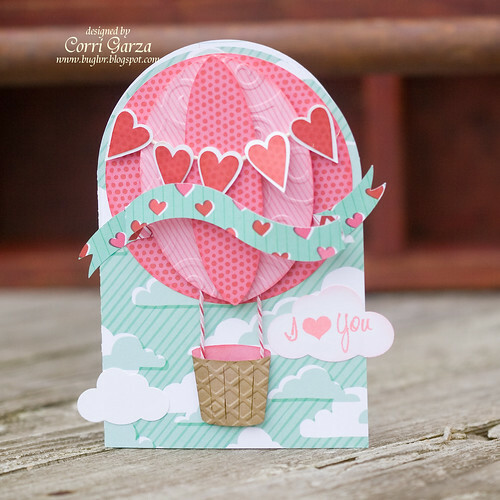 I've been stalking my mailman because I knew this paper collection from American Crafts would be perfect for the hot air balloon card from the new For My Valentine kit from SVG Cuts. This kit is just amazing! You can get this kit free with purchase right now....head on over to SVG Cuts to check it out. So here is my version of the balloon card. The paper is all from the AC - XOXO Collection. I used my Fiskars cloud punches for the little clouds...I decided to stamp my sentiment right on one of them with some Worn Lipstick distress ink. this looks awesome, Corri! Love those files and that paper! So pretty! I just bought that SVG Cuts set yesterday, but I haven't played yet! I LOVE all their stuff!!! I ♥ this. It's so pretty! I saw this and fell in love. This is gorgeous and you're right...perfect papers. I just LOVE this card so much!!! Really is one of my faves of yours!! !